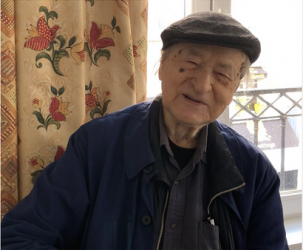 The legendary counterculture figure Jonas Mekas died on 22 January 2019. 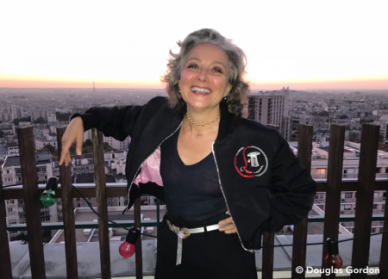 We are republishing a tribute to this magnificent underground filmmaker, whom I interviewed in 2018 and who inspired Andy Warhol, among others, during the 1960s. Ever curious about new filming methods, he displayed great enthusiasm at the idea of being filmed simply with the aid of a telephone positioned on a stick. He finished the interview with a reply to the question: « What do you want people to remember about you? ». 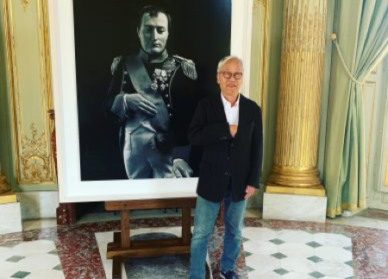 The first time I met him was in 2008 at a French brasserie in downtown New York, Chez Lucien, while I was preparing for an exhibition on Warhol and television. Jonas arrived wearing a Peruvian-style bobble hat, and beneath the wrinkled creases of eyelids that betrayed his old age, his bright eyes shone with an inner ebullience. 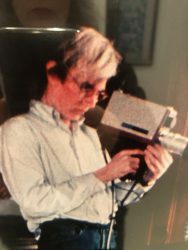 Over the course of the interview I learned that Warhol had drawn inspiration from certain documentary films of his during the 1960s; films that he used as diaries to establish his own cinematic talent. 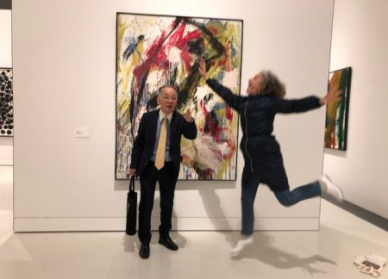 I asked him at the time whether he hadn’t been annoyed that Warhol had taken his ideas. His reply was that it didn’t matter. 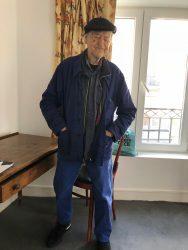 I saw Jonas Mekas again this January 2018 at the Louisiane in Paris, a hotel in Saint Germain des Près where he has stayed without fail every time he’s come to France since the 1970s. This time he’s wearing a woolly cap, beneath which, at nearly 96 years old, his eyes remain as sparkling as ever. 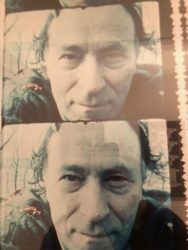 Jonas Mekas is a legendary figure of what used to be called “underground” culture in the 1960s, but since then the term has become a cliché. He is also legendary for his kindness and generosity, his wisdom and good nature. He’s been invited to Paris by the Cinémathèque Française, which is putting on a Lithuanian film festival. 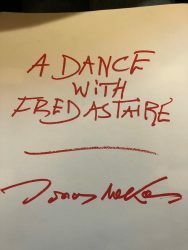 To coincide with the festival, the Agnès B gallery has arranged a signing session for his new book, “A Dance with Fred Astaire”, a compilation of around a hundred extraordinary non-chronological accounts in which he writes about the likes of Yoko Ono, Andy Warhol, Al Pacino, John McEnroe and Jean Renoir. “A day in my life as a dog. 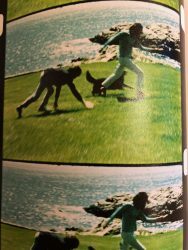 I don’t really know how it happened, but one day in 1967, I decided to try a dog’s life. I mean to live like a dog among dogs. (…) It was not really my idea. 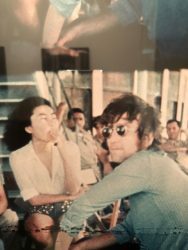 It was an idea of Peter Beard’s, who often gets such crazy ideas. But I liked it. So I spent most of my day on all fours (…) I was not bad in the bone catching games (…) I have to tell that in spite of the gruelling day, I ended up feeling great (…) I’ll never say again, “Oh this is a dog’s life”. He very much enjoyed the game of nine answers to be given in record time. You wrote in “A Dance with Fred Astaire” that you began to keep a diary when you were 6. You continued to keep it and invented different kinds of diaries. What is this obsession with diaries? You are taking part in the Lithuanian film festival in Paris. You left Lithuania in 1949. What’s Lithuanian about you? What was your project with this new book? –After so many years what do you remember about Andy Warhol? Do you think the word “Underground” still has any meaning? –Did you meet anyone recently who you think is very special?